When a business relationship of sponsorship ends it is best for one party to document this in writing. 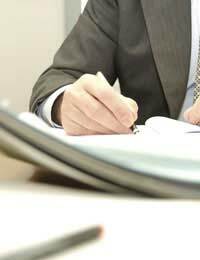 In addition to any legal responsibilities held by parties regarding the termination of sponsorship and notification of such a decision, a letter is a good way for both parties to acknowledge the end of their relationship. A letter of termination of sponsorship should state clearly that the relationship is ending and the date from which this is effective. Details of why the sponsorship is ending may also be appropriate. At its most basic, the only content that a this letter must really include is notification that the sponsorship relationship is ending and the date from which this will be effective. In some instances it might also be appropriate to include details of why the relationship is being terminated and if there is any chance of the relationship resuming again in the future. However, such letters do not need to be padded so brief letters are entirely appropriate. Legal obligations may require further content, but this would be case specific and best advised by a legal professional. Information on who to contact within an organisation for further information regarding the termination of sponsorship would also be appropriate for inclusion in this kind of letter. The details of the writer and recipient's job titles and mailing addresses should be included and a formal salutation and closing should be used. A space should be left for the writer's signature and a professional tone should be employed throughout. Such letters should be typed and printed. If the letter is from a representative of an organisation then it should be printed on organisational letterhead. If the letter is from a private individual then it should be printed on personal letterhead. Delivery via post or courier is appropriate for letters of termination of sponsorship. It is with great regret that [Organisation One] must terminate our sponsorship of [Organisation Two]'s [Event]. This termination is effective immediately and means that this year's [Event] will not be sponsored by [Organisation One]. While [Organisation One] has always enjoyed sponsoring [Organisation Two]'s [Event], unfortunately the current economic climate leaves us without funds to contribute to [Event] at this time. However, should we find ourselves in a position to offer sponsorship in the future we will of course hope to resume our sponsorship of [Event]. Should you wish to discuss this matter further, please do not hesitate to contact me on [Telephone Number or Email Address]. [Organisation One] wishes you the best of luck with this year's [Event] and all of your future endeavours.